Why would a hard money loan originator want a Mortgage Pool? Why do I want a ‘Mortgage Pool Fund’ for my Lending Operation? 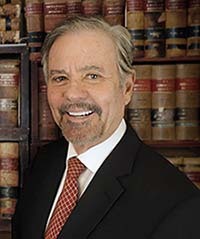 I am Dennis H. Doss, General Manager at Doss Law, helping Mortgage Brokers and Private Lenders since 1978! The ABOVE question: “Why do I want a ‘Mortgage Pool Fund’ for my Lending Operation?” – is the first question I am routinely asked. It is a valid starting place for mortgage lenders and private / hard money lenders who have never explored the concept and benefits of setting up a Mortgage Pool / Mortgage Fund. Why would you, as a mortgage loan originator or private money lender – want to have a Mortgage Pool Fund created for your business? I have EIGHT reasons why I think you should consider creating a Mortgage Pool. First and foremost, and I hear this from clients time and time again, is the diversification that the mortgage pool provides. It is the first rule of investing. Don’t put your eggs in one basket. Diversify what you do. If your portfolio is diversified and your investors are investing in a small piece of a large group of mortgages, their risk is greatly diminished. That diversification is very, very important: very protective of you. In a mortgage pool you can have some defaults, you can have some non-performing loans, and the pool will still produce cash flow. You don’t get back up phone calls from investor asking where monthly payments are. Second – A real important point is that adds up to a one-time sale. The biggest frustration I get from clients that don’t have mortgage pools is the massive amount of paperwork they have to provide to their investors as part of their due diligence process. I’m not faulting them for that, but it is a very tedious process. With a mortgage pool, it is a one-time sale. The investor puts their money into the pool, that money rolls over and over again, and the investor is not involved in underwriting each and every loan decision. Third – is fast loan funding. Fast loan funding equals more deals. If you’re known in your community as someone who has the financial strength to make loans and close them quickly, you’re going to be the go-to-guy or go-to-gal in your neighborhood. That’s very important, and makes you more efficient. Fourth – is you get to underwrite the deals. That doesn’t mean you have carte blanche to do anything you want. You’re offering documents will describe point-by-point the rules that you must live by in making mortgages on behalf of the mortgage pool. But you don’t have to go out and meet with the investors, present the package, buy them lunch and go through this tedious, slow process and have your investors look at your deals and second-guess them. Fifth – is very very important to your investors. Many of them are retirees; many are on fixed incomes. They don’t need a roller coaster in way of income with borrowers paying one month, and not paying the next month. A mortgage pool, because of the large number of mortgages that end up in one, produces a very steady, predictable yield to the investors. Every month when they go out to their mailbox there is a check for a predictable amount of money. They don’t complain. They don’t congratulate you –frankly– either, and it makes you much more efficient. Sixth – is flexible gross. You may want to build an Empire and grow very large mortgage fund, or, you may want to grow a small one, or downsize it at some point. A mortgage fund gives you that ability. they all start off with zero. And the sky is the limit. So they can go to a $100 million or even higher. We have several clients, of the Doss Law Firm, with well over several $100 million dollars of mortgage pools. Seventh – is less government regulation. This makes it easier to raise capital. A mortgage pool, most of them are formed, they exist, there’s no government regulation of how they’re created. You have to rely upon us, and we have to rely upon you to provide truthful information to your investors, and to follow the rules of the law in creating these mortgage pools. But there is NOT the constant eye of the government looking at your mortgage pools providing you were running them correctly, and doing the things that the documents require. Eighth – is A mortgage pool gives you the ability to do larger loans, which means more income to you. Because you have this collection of capital, and hopefully you’ve got investors wanting to come into your fund, at any given point in time, you can make larger loans, earn larger commissions, and reach a wider marketplace from the small loan to the larger ones.